We know that you know that the customer is always right. Period. No matter what, the customer is always right. Even if they shout at the customer care specialist. Even if they are angry, and rude, and totally impolite. They are our customers, and we do our best to calm them down and restore their trust in our company. We also know that you know some essential techniques to calm your upset clients down and finally resolve the issue. Of course you know about active listening, repeating the customer’s concerns, and being sympathetic and apologetic. But what about your new support specialists? Are they aware of these techniques? Some might be, some might not. Obviously, your newbies require some training, but here comes another challenge. You cannot just give your newbie a real call from an angry customer and say, “Okay, now deal with this.” You’re risking losing this customer, simply because your customer support specialist is not trained well to deal with a difficult customer. So, you cannot give them a real call, but still, you have to train them, right? That’s the part where dialog simulations are extremely useful. You won’t be afraid to lose a real client while teaching your customer care team, so you can create all sorts of difficult situations for them to solve. Okay, what about the feedback? There’s no use for a simulation without explaining what’s right and wrong and correcting mistakes. Say the learner answered Hey, do you have problems with this? You can’t let him get away with such an answer, so you provide an explanatory feedback message and say No, this is not a good answer because… And still, no real customer is hurt. Check out what it might look like in a dialog simulation. Comments help the learner to understand why a character has calmed down or gotten mad. Just be sure you explain everything in detail. And what about making learning more engaging and effective? Choose a character and background scene similar to your real circumstances. This will make the whole situation REAL for your staff. Try to use complex structures and redirect learners to certain questions or info slides according to their answers. Check out yet another example. You can make your staff go over and over the simulation again until they choose the right answer every single time. If a learner fails, you can redirect them to a particular question or to the very beginning of the simulation. Of course, there are more than these three basic techniques we’ve outlined in our dialog simulations. We know you know them, and we assume your newbies probably don’t. With these dialog simulations, you can make them handle difficult situations and master the art of dealing with angry customers. 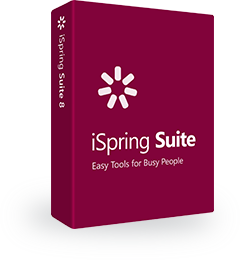 The three dialog simulations above were created with iSpring TalkMaster, a tool designed to help you to train your team. It’s better to try it one time than hear about it one hundred times, isn’t it? To help you to start with creating simulations, we have a couple of articles with tips and tricks. Try making dialog simulations with iSpring TalkMaster for free with the 14-day trial period and train your customer care team without risking real clients.